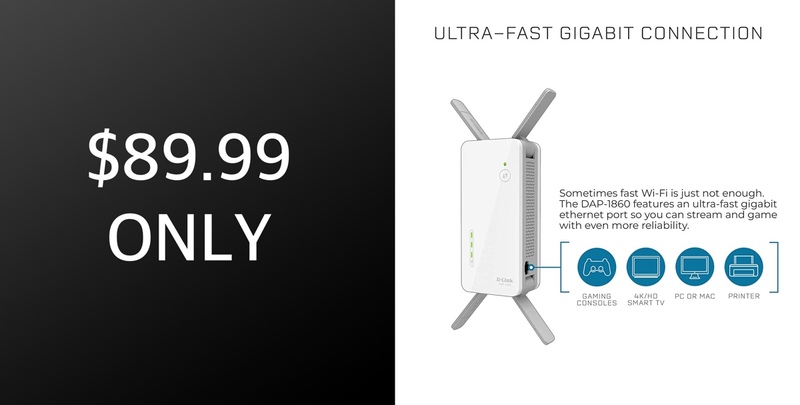 The wonderful and extremely popular D-Link WiFi range extender is available right now via Amazon for just $89.99. That availability represents a 40% discount and gives you immediate access to an industry-leading product. When high-speed internet first started becoming the norm in homes across the world it probably wasn’t even considered that each home would have a slew of different devices types of all which would require internet access. Back in those days, people would have had a desktop or a laptop and that would have been enough. Now, we have smart televisions sets, computers, tablets, smart speakers, home automation hubs, smartphones, and streaming set-top boxes, all of which consume internet and all of which need to have a strong connection at all times to function effectively. 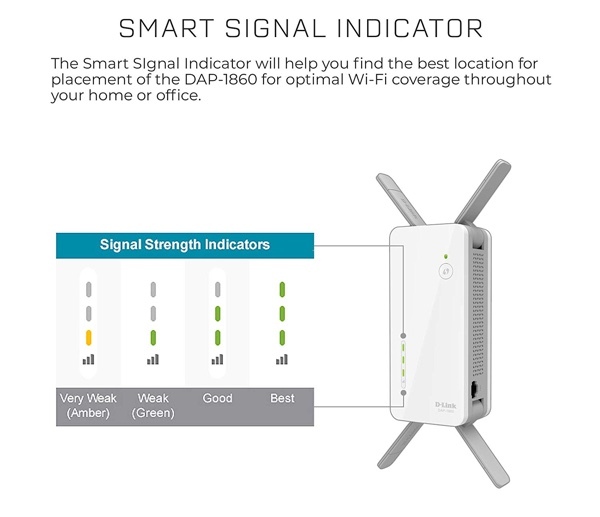 This wonderful D-Link WiFi range extender hardware aims to give the best possible range and performance for all devices in the home and to ensure that they remain connected to the internet wherever they may be in the property. One of the main selling points of this product is that it comes with an extremely easy set-up process which isn’t going to put off people who aren’t particularly tech savvy or who don’t understand the intricacies of this type of hardware. It also comes with a Smart Signal Indicator feature which helps you find the best location in the property to promote optimal coverage. The D-Link hardware offers AC2600 speeds to deliver ultra-fast wireless transfer rates for all web browsing, 4K/HD media streaming, and, of course, gaming. It also has AC Smartbeam via 4 powerful antennas to track all connected devices to ensure enhanced WiFi speeds. The embedded MU-MIMO technology is also tasked with improving performance by transmitting to multiple devices simultaneously. D-Link has also attempted to improve the coverage provided by mounting external antennae on the hardware that should be good enough to pump the signal around uninterrupted and even into external spaces on the property. Powerful and reliable. Simple setup and easy-to-use with an accompanying application. This is a great piece of hardware for anyone who is struggling with whole-home Wi-Fi coverage and doesn’t want to invest in a mega expensive mesh system.